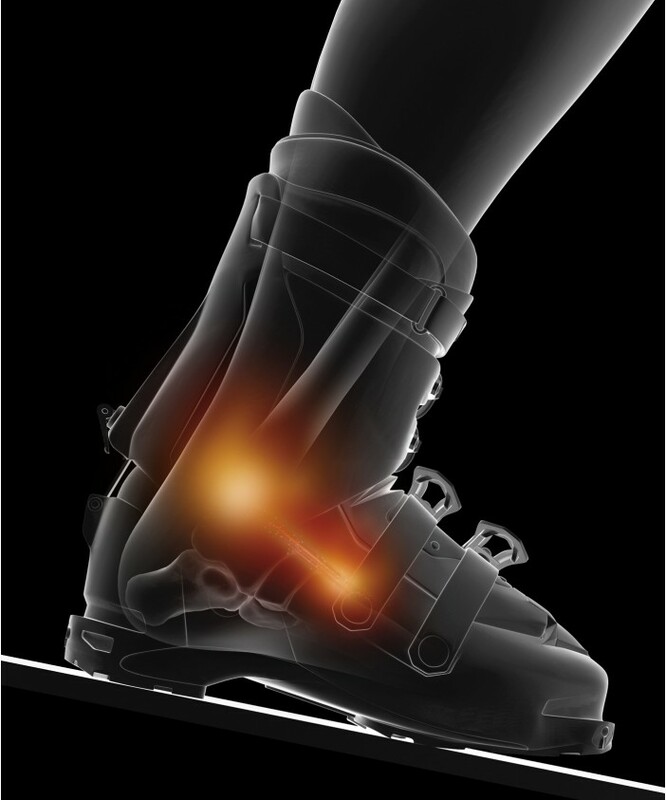 Skiing, snowboarding, mountain-climbing, and inline skating boots often cause significant pressure and friction on the ankle and navicular bones (this is the bone that forms the 'keystone' of the arch of the foot). 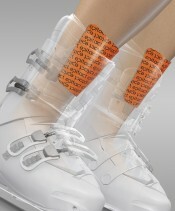 Ankle protectors help limit these annoyances and allow trouble-free sporting activity. - PREVENTIVE ACTION : EPITHELIUMTACT 04 Protectors are made of 2 mm thick, self-adhesive silicone gel in which the viscoelastic properties are close to the skin. Applied on the ankle bones, in direct contact with the skin, the pads will distribute the pressure and absorb the friction by dissipation of energy in the gel, thus preventing any risk of overheating. 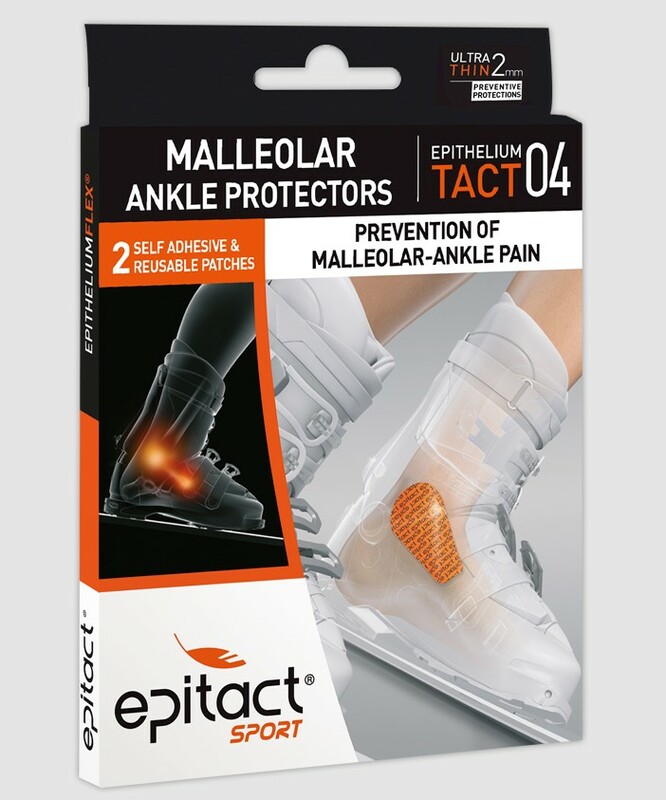 - ANTI-PAIN ACTION : EPITHELIUMTACT 04 Malleolar Ankle Protectors relieve pain, making it possible to participate in sports and remain competitive. 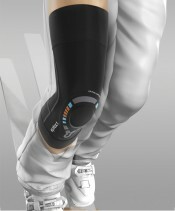 ERGONOMICS : Their specific shape was studied in order to completely cover the sensitive areas (ankle bones and scaphoids). Contact with the skin is very pleasant and the protector detaches without pain. You can remove and reposition it with ease. 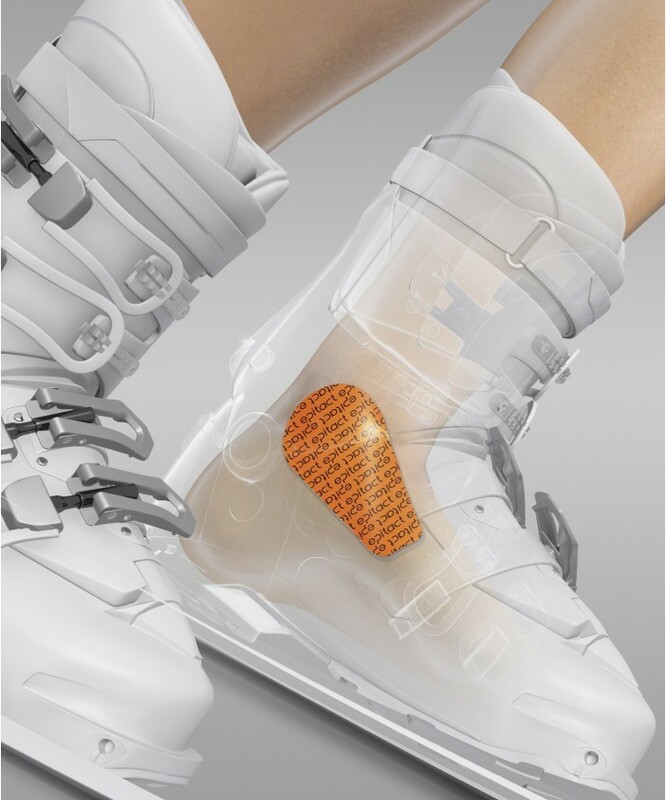 PRESENTATION : EPITACT® SPORT Malleolar Ankle Protectors are sold in pairs (5cm x 11cm). 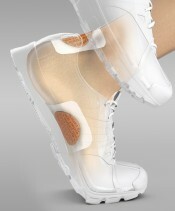 91 % silicone, 9 % polyamide/elastane fabric.